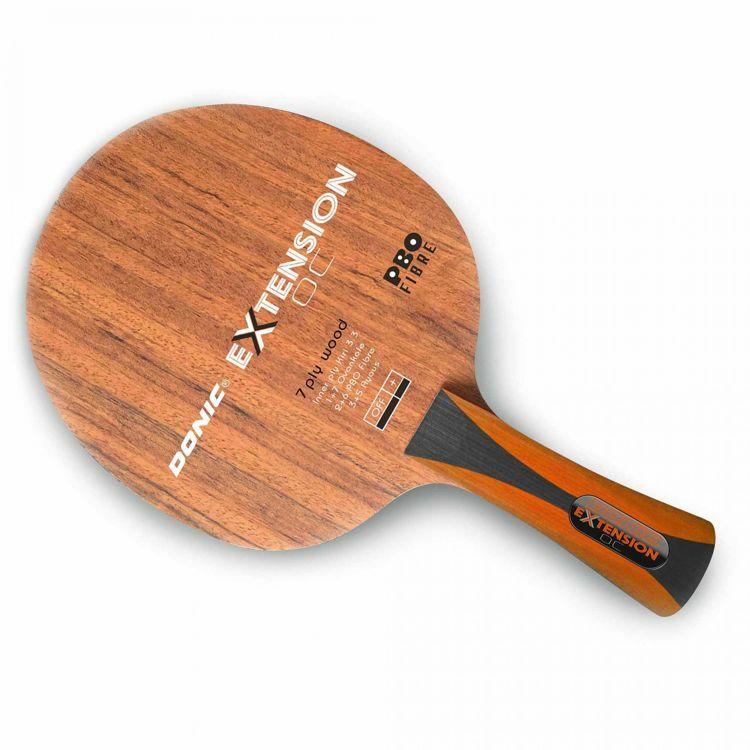 Extension OC is a very fast and relatively hard offensive blade. Extension OC is a very fast and relatively hard offensive blade. No compromise permitted. The Ovankole outerplies are extremely hard and in combination with the underlying PBO fibre/carbon layers create top acceleration. Ovankole is a fine African wood, used in the manufacture of guitars. A blade for the specialist, who wins points with powerful and quick strokes. One of the fastest from DONIC's selection of blades.